But they had not shared it with the news media or their intelligence partners, prompting President Donald Trump to openly doubt the audio’s existence. 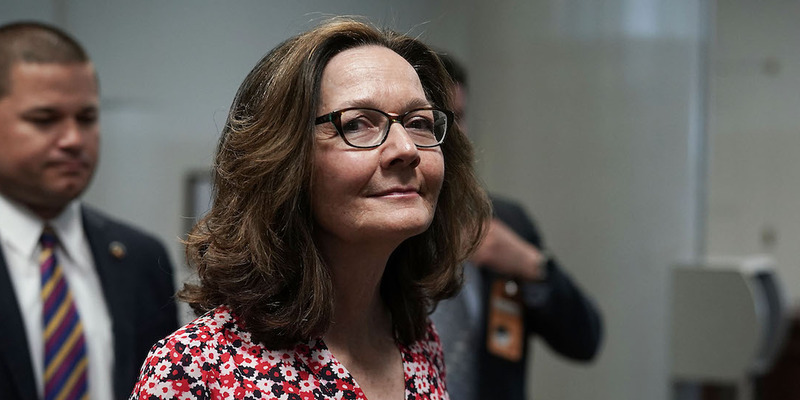 CIA Director Gina Haspel heard the audio recording during a visit to Turkey this week, The Washington Post and Reuters reported Thursday. Experts say it could put more pressure on the Trump administration and Congress to hold Saudi Arabia liable. Reports Thursday indicated that CIA Director Gina Haspel recently listened to an audio recording of the Saudi critic Jamal Khashoggi’s last moments. Turkish officials had long indicated they had such audio, but their refusal to share it with US officials had helped prompt President Donald Trump to openly question whether it existed. Haspel listened to the audio during a visit to Turkey this week,The Washington Post and Reuters reported on Thursday, citing unnamed sources. Turkish officials have, through leaks to US officials as well as US and Turkish media outlets, touted the existence of audio footage of Khashoggi’s killing since October 12. Alex Wong/GettyHaspel seen in May. An unnamed source told The Post two weeks ago that the audio “lays out what happened to Jamal after he entered” the Saudi Consulate in Istanbul. But Turkey had not shared the footage with intelligence partners, prompting Trump to openly doubt its existence. Turkish President Recep Tayyip Erdogan also failed to mention the audio recording Tuesday during a highly anticipated speech about Khashoggi’s killing. “So far, we’ve heard about it, but nobody has seen it,” Trump told reporters on Saturday, adding that, to his knowledge, that included the FBI and the CIA. US Secretary of State Mike Pompeo, who visited Saudi Arabia and Turkey last week to discuss the two countries’ investigations into Khashoggi, also hadn’t heard the audio, Trump added. A person familiar with the footage told The Post on Thursday it was “compelling” and could put more pressure on the Trump administration to hold Riyadh accountable for Khashoggi’s killing. Trump on Tuesday described Khashoggi’s killing as “one of the worst in the history of cover-ups,” adding that “somebody really messed up” when conceiving of the plan. 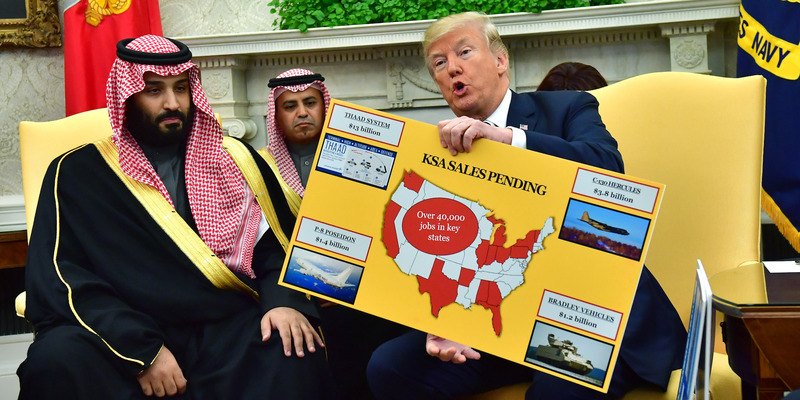 But the US president has repeatedly refused to halt arms sales to Saudi Arabia over Khashoggi’s death. Kevin Dietsch-Pool/Getty ImagesPresident Donald Trump, pictured with Saudi Crown Prince Mohammed bin Salman in the White House in March, does not want to reduce arms sales to Saudi Arabia as a response to Khashoggi’s death. Riyadh first acknowledged on Friday – 17 days after Khashoggi disappeared – that the journalist died inside its consulate in Istanbul. In contrast with reports citing Turkish officials, it claimed the death was an accident and the result of a fistfight during a rogue operation unknown to the Saudi leadership and intelligence services. Riedel also said the fact that Haspel heard the audio could also compel Congress to ask Haspel to testify. “Not only will there be more pressure now from the media but Congress will say, ‘Gina, we would love to have you come visit and you can tell us exactly what you heard,'” he told The Post. Saudi Crown Prince Mohammed bin Salman on Wednesday claimed unity with Turkey, despite a series of leaks from Turkish officials implicating him personally in the killing.